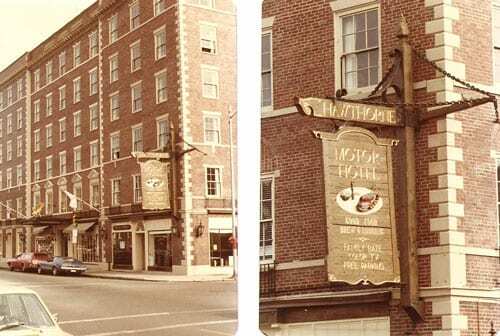 Established in 1925, the historic Hawthorne Hotel is situated in the heart of Salem, and a proud member of the Historic Hotels of America. To date, over 1 million guests stayed at the hotel and many generations held their weddings, anniversaries or prom parties in the Grand Ballroom. Modern Hotel for the Business TravelerFrank Poor, founder of Hygrade/ Sylvania Lighting Company was the one who first envisioned a “modern hotel for the business traveler” in Salem. 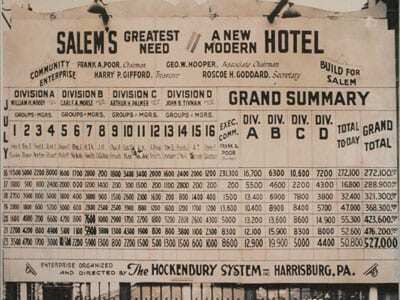 Sixteen teams competed for the highest sales honor, with more than half a million dollars worth of stock in the proposed “modern hotel for Salem” being sold in a single week in 1923. 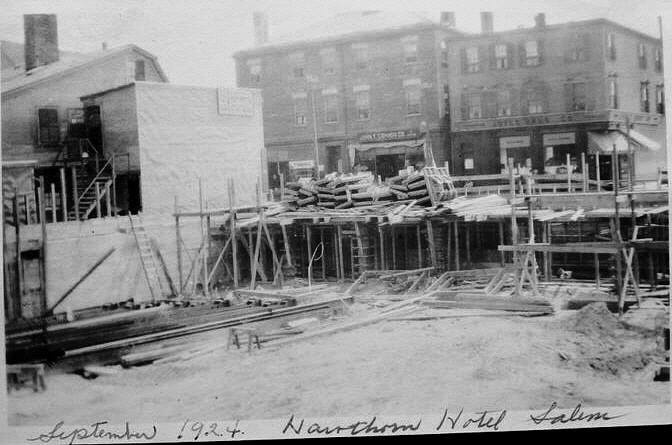 Hotel ConstructionConstruction of the Hawthorne began with an expected completion date of August 1925. 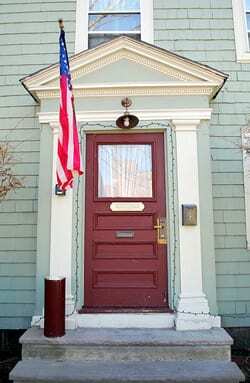 The Hawthorne Hotel Opens!July 23rd: the hotel opens up amidst much fanfare. Led by the Salem Chamber and Salem Rotary Club, a flag-raising ceremony declared the hotel open, followed by a city wide parade. Crowninshield-Bentley HouseThe Hawthorne Hotel purchased the beautiful Crowninshield-Bentley House, which stands across Hawthorne Boulevard. 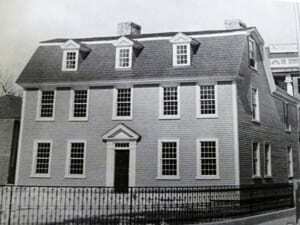 The hotel later donated it to the Essex Institute in 1959. 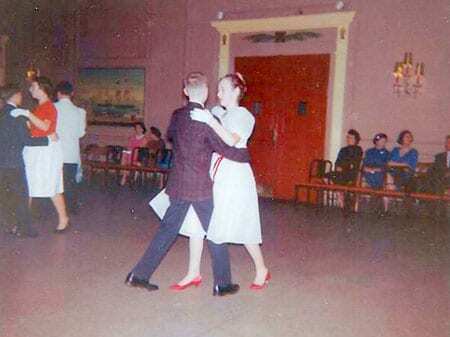 Dance School Celebrations in the Grand BallroomFor several decades, Miss Harriet James of Salem led a dance school inside the hotel, with annual celebrations being held in the Grand Ballroom. 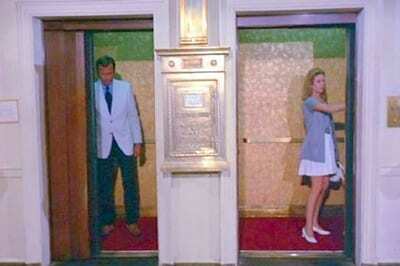 BewitchedThe television show Bewitched filmed their Salem Saga in June, which included time at the Hawthorne Hotel and the iconic elevator scene. 60th AnniversaryThe hotel celebrated its 60th anniversary. 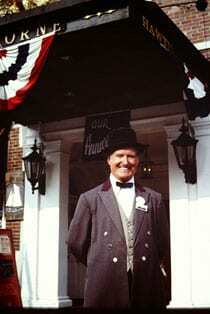 At that time, the hotel was known as the Hawthorne Inn. It would be another four years before it was once again known as the Hawthorne Hotel. Harry Houdini SéanceA séance was held in the Grand Ballroom on October 30 in the hopes of summoning Harry Houdini on the 64th anniversary of his death. 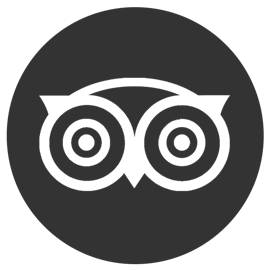 It was unsuccessful. First Annual Haunted HalloweenThe first annual Halloween Party was held at the Hawthorne. 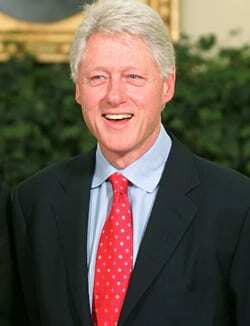 Presidential VisitFormer President Bill Clinton visited the hotel. Suzannah Flint Guest HouseThe adjacent Suzannah Flint Guest House was purchased by the Hawthorne Hotel. 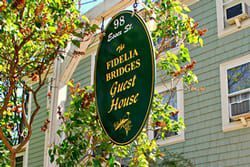 Fidelia Bridges Guest HouseThe Suzannah Flint House was renamed to commemorate famous American artist, Fidelia Bridges, who once resided there. Robert de Niro and Jennifer LawrenceJoy, a Hollywood blockbuster with Robert De Niro and Jennifer Lawrence, was partially shot in the hotel's Grand Ballroom, Mezzanine, and in one of the guest rooms. Both of them stayed on the property while filming. 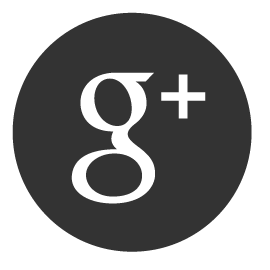 Hawthorne gets voted Best City Center Historic HotelThe Hawthorne Hotel received the prestigious "2015 Best City Center Historic Hotel Award" from Historic Hotels of America, showcasing the hotel's continued commitment to excellence.